Halloween is just around the corner and I’m so excited for it. Mostly I’m excited because the little one is dressing up as a tiger (and/or a ballerina. We cannot decide.) and going trick or treating for the first time in her life. I can’t even imagine what her reaction will be when she gets a handful of candy from a stranger, and then another one, and another one. I think her head might explode. And then I’ll be sure to let her eat exactly three pieces of candy before bedtime and then sneak away with all the Reese’s peanut butter cups for myself like the good mother I am. OK, OK, I’ll save those for her, too. 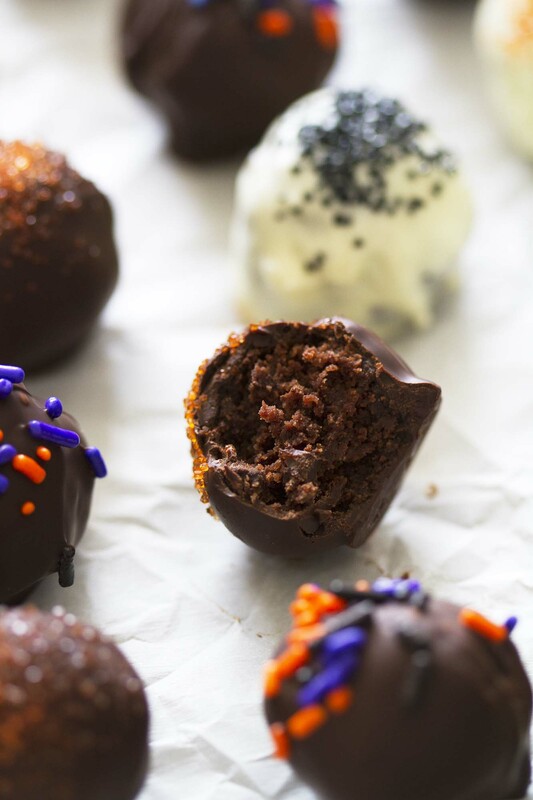 Because I’ll have these Halloween brownie truffles waiting for me when we get home. Truffles are a true weakness of mine because they are easy to make and one recipe usually makes a ton of them and I can just pop them into my mouth one after another and suddenly, I’ve eaten a dozen truffles without blinking. They have that effect on me. I’m hoping I can have better self control with these Halloween brownie truffles because a brownie AND a truffle combined? My head might explode, too. I used Immaculate Baking Co.’s organic fudgy brownie scratch mix, which is seriously incredible all on its own (it’s made with butter and there are little bits of chocolate scattered throughout and they bake up truly dense and fudgy, as all brownies should) to make these truffles. I simply rolled up baked brownie bits into balls, dipped them in chocolate, coated them with spooky sprinkles and that was the end of that. Like I said — SO EASY. Eerily easy, if we want to keep on the Halloween theme. 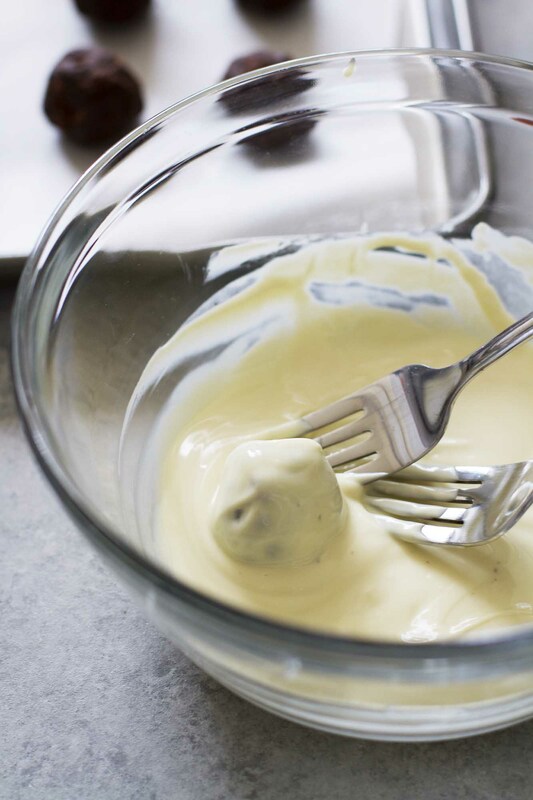 I dipped the truffles in a combination of semisweet chocolate and white chocolate and both were equally delicious, so go with whatever chocolate you fancy. 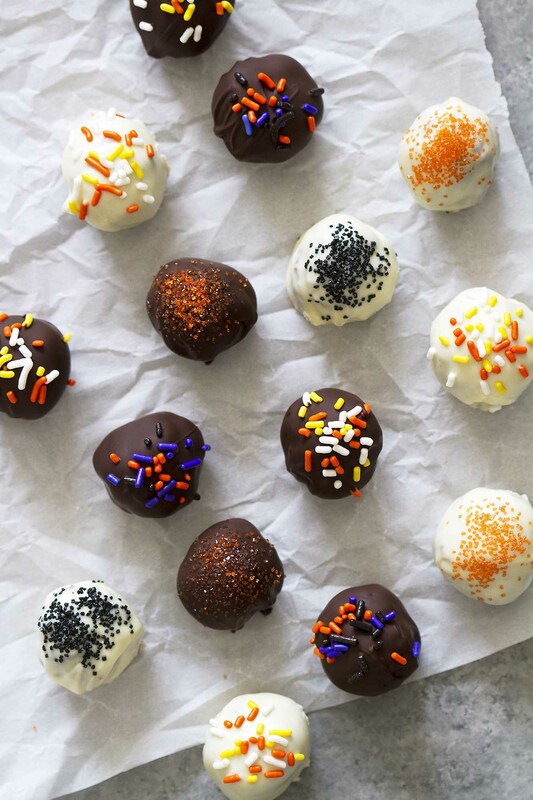 You can even skip the sprinkles (but, WHY) and drizzle extra chocolate on top, or make them look like Halloween characters (mummies, ghosts, vampires, oh my). They’d be great to make with the kiddos, too, in case they’re not already hyper on all the sugar from trick or treating. That’s just a pro tip from one good mother to another. ↑JUST LOOK AT THAT FUDGY CENTER↑. I think this might be the most wonderful time of the year. 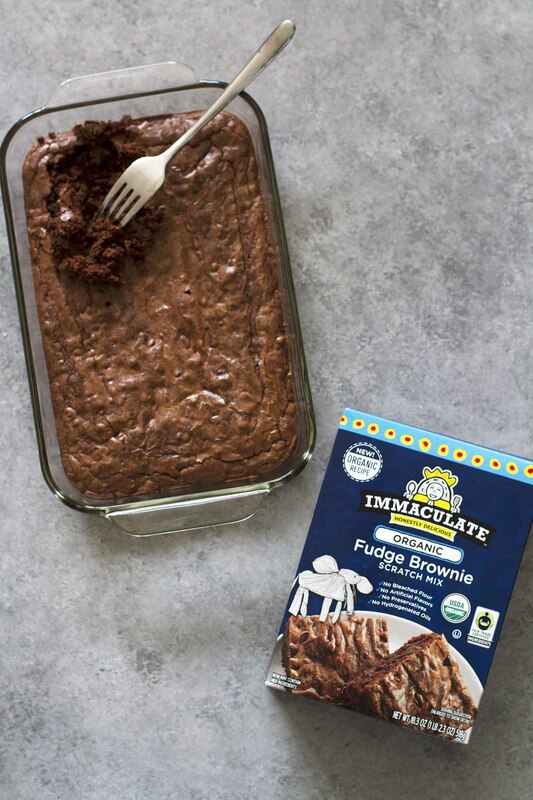 Prepare and bake brownie mix according to package directions for 11×7-inch or 9×9-inch baking pan. Cool completely in pan. 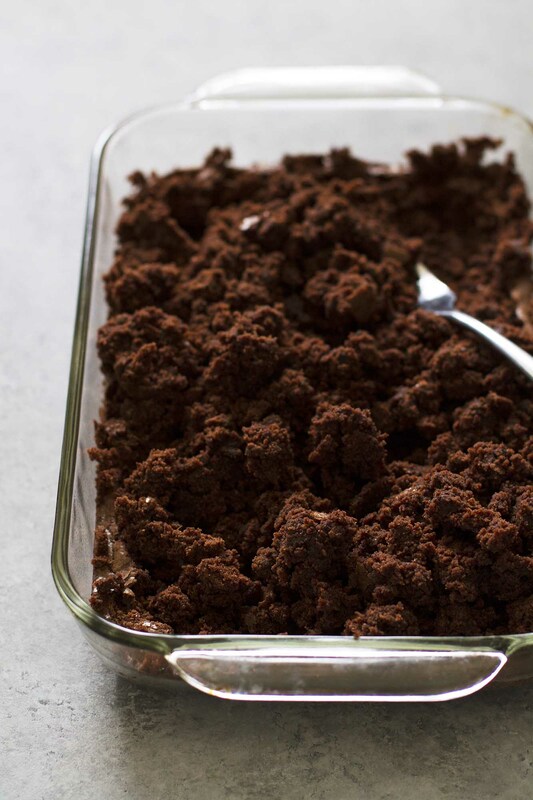 Use fork to break up brownies into crumbles. If needed, discard crusty edges. Line cookie sheet with parchment paper. 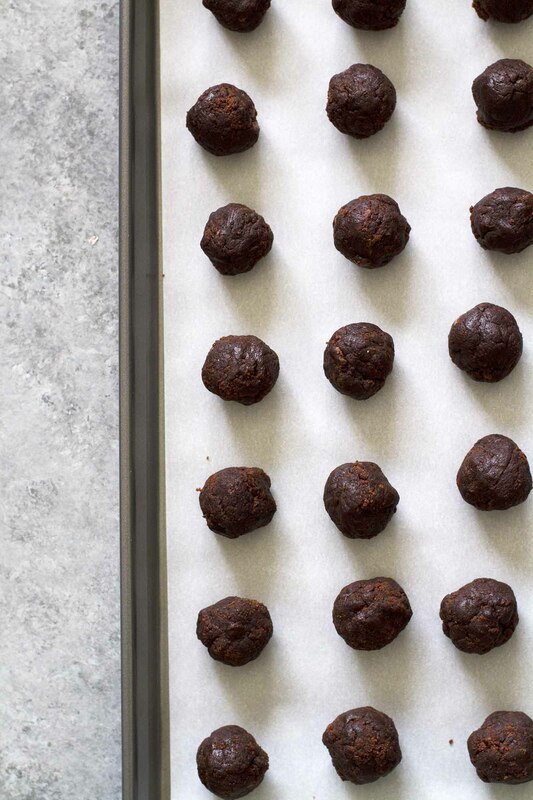 Use tablespoon-size cookie scoop or hands to scoop and roll brownie crumbles into 1-inch balls. Transfer to lined cookie sheet. Freeze 30 minutes to harden. In medium microwave-safe bowl, microwave baking chocolate on High 30 seconds. Stir. Microwave on High another 30 seconds. Stir again. Microwave in 10 to 15-second intervals until chocolate is melted and smooth. Dip one truffle at a time into melted chocolate; transfer truffle between 2 forks to allow excess chocolate to drip. Transfer to cookie sheet. Sprinkle top with desired sprinkles. Repeat with remaining truffles. Store in airtight container, with parchment paper between layers, in refrigerator for up to 1 week. 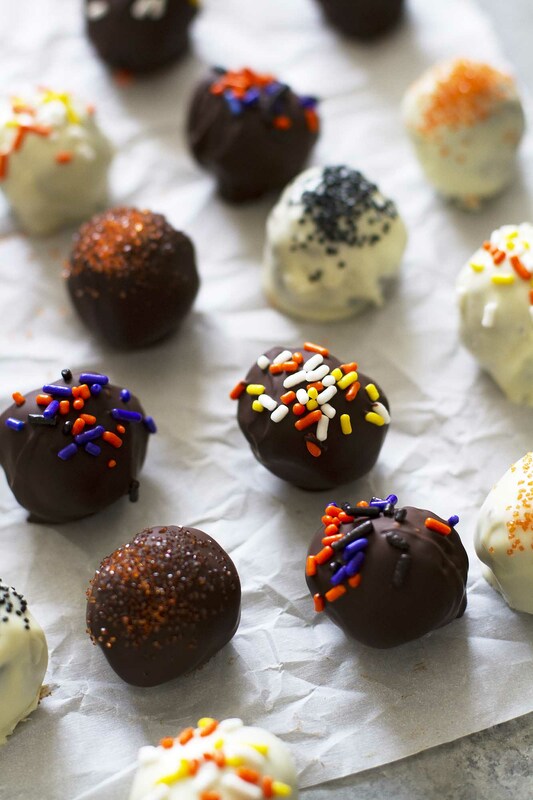 Truffles are the best, I need these for Halloween! Julie — I mean, there’s no shame in that game. Karen — I just might! If I don’t eat them all first.